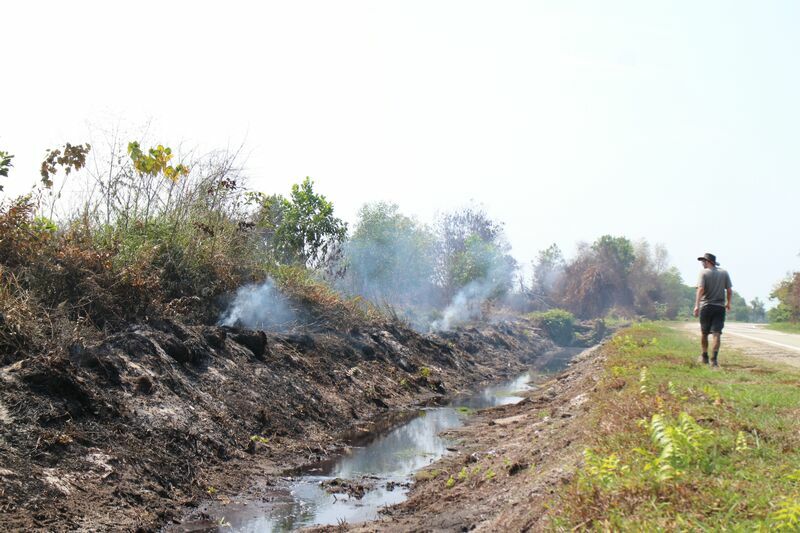 August and September 2015 have seen some of the worst peatland fires in Southeast Asia for ten years, leading some to speculate that the fires may match those in 1997 when greenhouse gas emissions from peatland fires contributed the equivalent of between 13-40 % of all annual man-made carbon emissions from fossil fuels. Not only is this a disaster in terms of carbon emissions and ecosystem damage, it has caused an unhealthy haze of smoke to spread across the region. These clouds of harmful gases and particulates are so large that they can be seen from space, often covering the entirety of peninsular Malaysia. In some areas, thousands of people have also been forced to move away to escape the smoke. 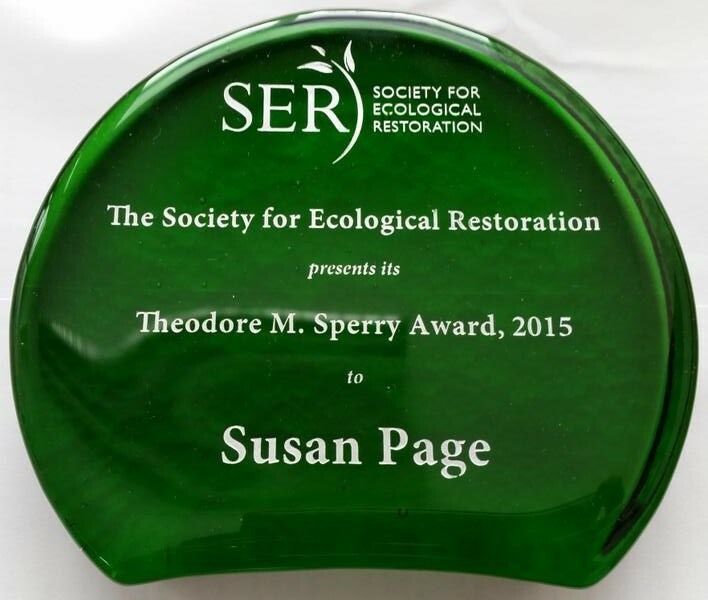 With COP21 negotiations in Paris due to begin soon, there can be no greater illustration of the importance of proper peatland management and restoration with regard to greenhouse gas emissions and public health than the large fires currently burning in Southeast Asia. 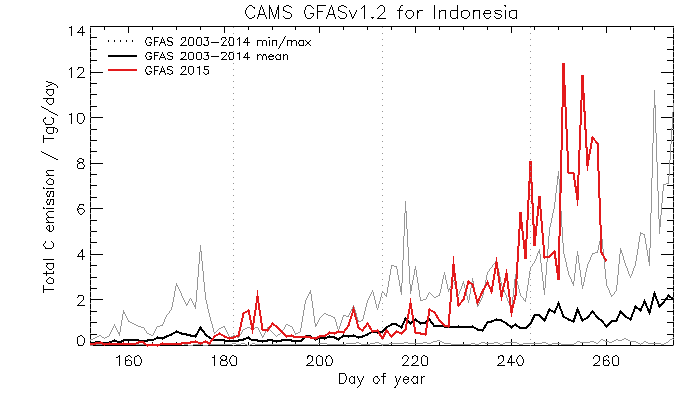 Dr Mark Parrington has provided us with plots which record the scale of the emissions from peatland fires. 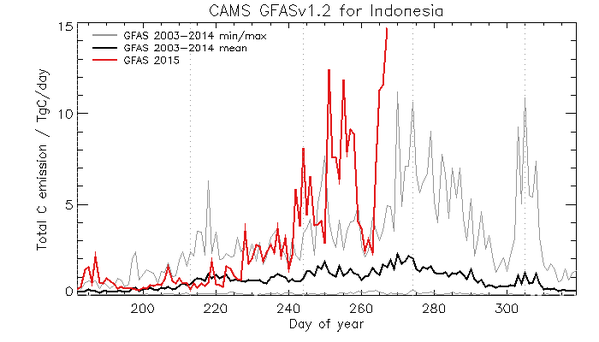 These graphs have been produced using outputs from the Global Fire Assimilation System (part of the Copernicus Atmospheric Monitoring Service), and they clearly show that emissions have already exceeded the average for the period from 2003-2014. 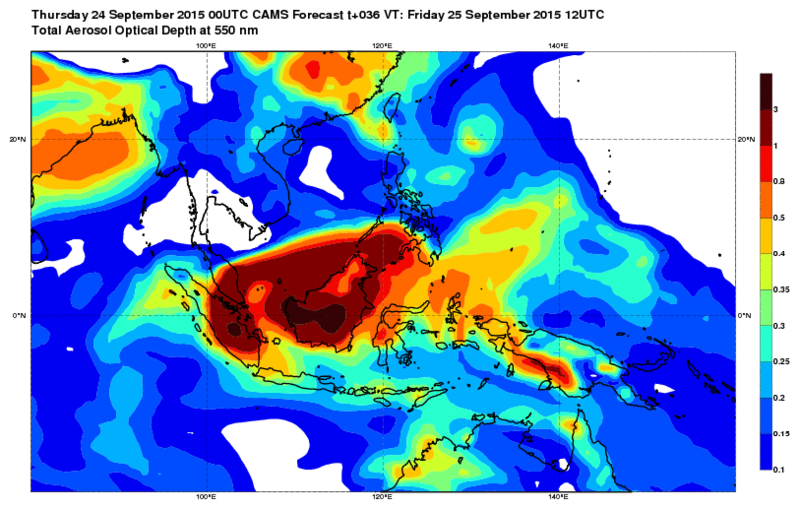 Although we know that the smoke is unhealthy, the precise make-up of the smoke from tropical peatland fires remains a mystery to scientists. Whilst there have been a handful of studies that have burned very small quantities of tropical peat in laboratories, no one has yet managed to make field measurements of the emissions from tropical peatland fires… until now. 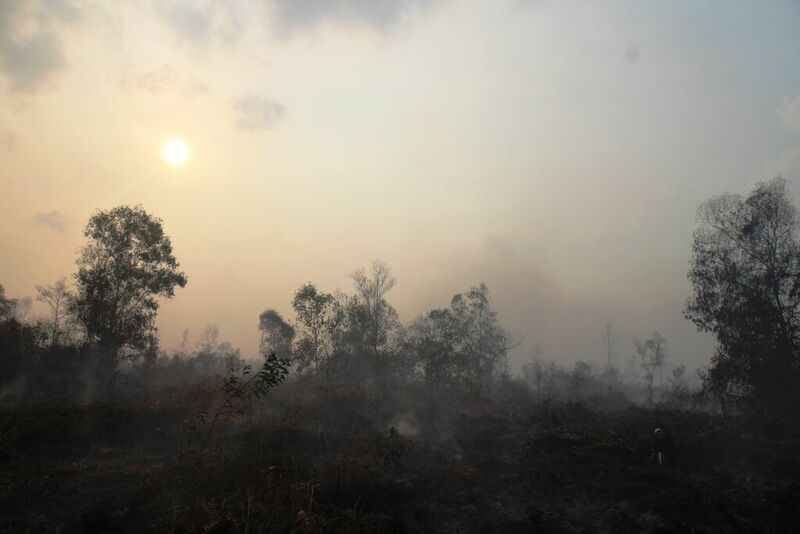 This August, Dr Thomas Smith travelled to Peninsula Malaysia in search of peat fires with the intention of making the first field measurements of the smoke. 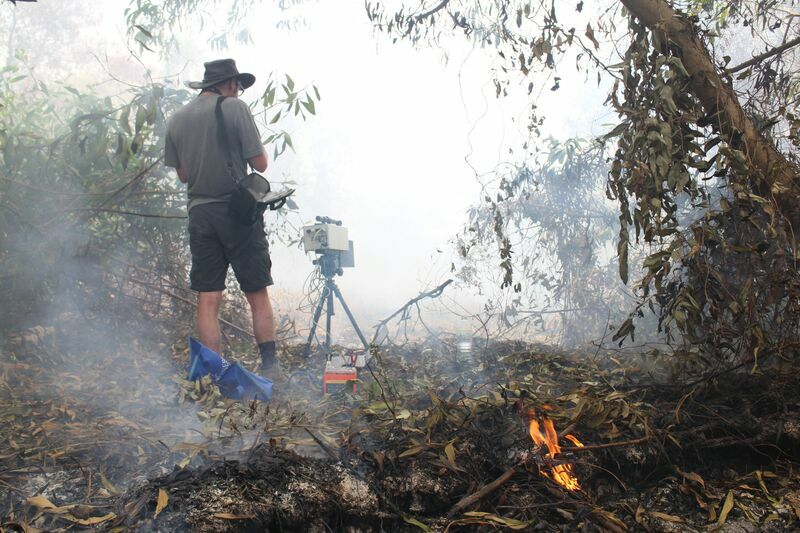 Using satellite hotspot detections in the region, Tom was guided to a number of large peatland fires on the east coast of the peninsula, in the state of Pahang. Tom has recorded a number of videos of the peatland fires which you can view here. Dr Tom Smith gets to the heart of the problem, using his equipment to measure the composition of the smoke from a peatland fire. Using a technique called Open-Path Fourier Transform Infrared (OP-FTIR) spectroscopy, where a source of infrared light is passed through the smoke and detected by an infrared spectrometer, Tom was able to sense the absorption signatures of a range of important greenhouse gases and haze-forming compounds, including carbon dioxide, methane, carbon monoxide, ammonia, and hydrogen cyanide. Peat samples were also collected from each of the fire sites to determine the physical and chemical composition of the peat, to investigate any links between peat composition and the resultant fire emissions.